Promote your Health Walks, community path activities, strength and balance classes and workplace lunchtime walk as part of Green Health Week during 22nd – 28th April using the hashtag #greenhealthweek. This will help to demonstrate the value of spending time outdoors. 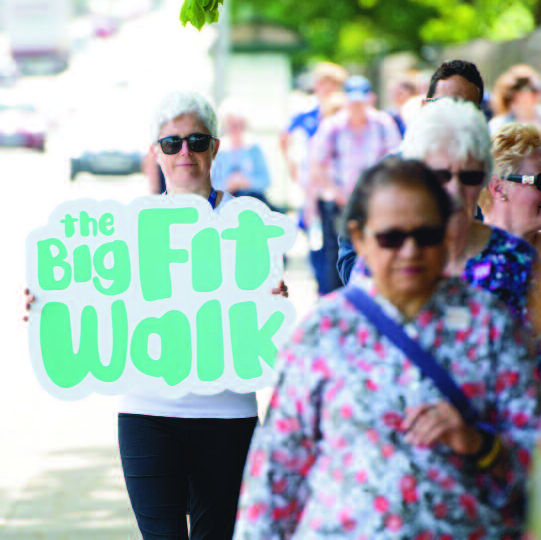 Our 2019 Big Fit Walk campaign is encouraging more people to join their local Health Walk. Resources to help plan your events will soon be available. Being outdoors has proven to be extremely beneficial to young people. It can increase both their mental and physical health while providing them an opportunity to make stronger connections with their local community. This free event on Tuesday 23rd April will focus on the challenges experienced by organisations who work with young people in the outdoors and how these challenges can be overcome to enable young people to create a sustainable and lasting relationship with nature and the outdoors. For further information email training@pathsforall.org.uk or call 01259 218 888. The key findings from a Volunteer Scotland report suggests that volunteering improves mental health, reduces social isolation and enhances physical health. Walk Aberdeenshire held two Walk Leader gatherings for volunteers from different Health Walk groups to network and share ideas. 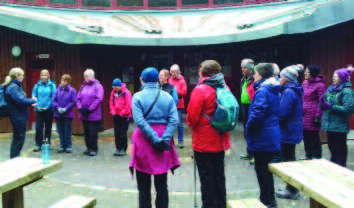 One leader said: “It was really good to meet other Health Walk leaders and compare notes”. Learning new skills, meeting new people and having fun are just some of the many benefits of being a Paths for All trained Walk Leader. 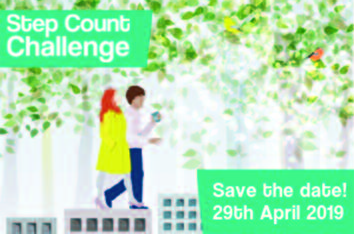 Our eight-week Spring Step Count Challenge will start again on Monday 29th April 2019. Read about the impact regular walking made on Heather’s life when she signed up to our Autumn 2018 workplace walking contest on page 12. Did you know that 76% of young people think nature is important and 74% of young people enjoy spending time in nature? Despite this, they feel there are barriers preventing them getting to the outdoors and feel under-represented within the environment and conservation sector. Our Youth Tracks training course was aimed at adults who work with young people. Over this two-day course, we looked at how we can all help to promote greenspaces and paths in a way that is more appealing to young people, and adopt participatory co-design methods to capture young people’s opinions relating to greenspaces. We showed participants how they can run practical work sessions in greenspaces with young people, empowering them to make changes or improvements identified through the co-design process. We have been thrilled by the positive feedback we received from those who attended the Youth Tracks training course and are grateful to everyone who came along and helped make it a success. The national Spring Clean campaign, Clean Up Scotland, organised by Keep Scotland Beautiful, is taking place in April and May. We have produced a dementia and the outdoors guidance note to improve accessibility of greenspaces. 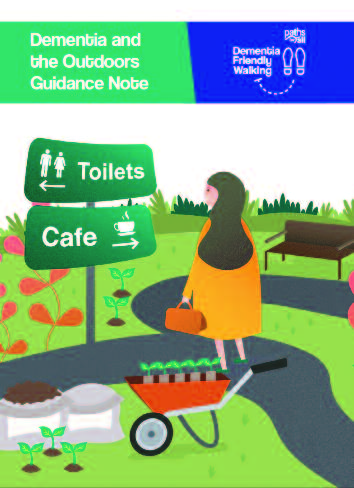 We have compiled this resource as part of our Dementia Friendly Environments work bringing together our expertise on Dementia Friendly Walking and improving the walking environment. The National Path Demonstration Site at SRUC Oatridge College is being enhanced to showcase best practice in outdoor access design. We have been awarded a grant by the Dementia Services Development Trust to deliver a dementia friendly outdoor space. We're also working closely with a landscape architect to develop plans for this outdoor space, which we believe will be the first of its kind in Scotland. Complementing these works will be the installation of dementia friendly wayfinding aids and our strength and balance exercise panels. We have received £50,000 funding from Spirit of 2012 for two years, for our Dementia Friendly Walking project, Care about Walking, which aims to embed physical activity and walking into the culture of care homes. 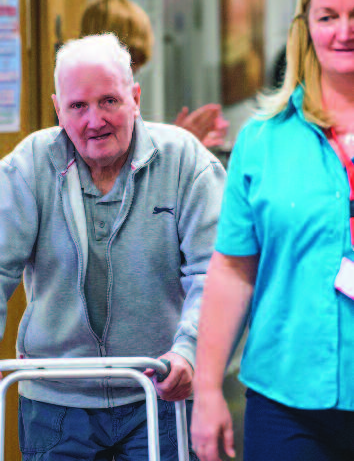 The project will work with care homes in Perth and Kinross to improve older adults’ physical health and mental wellbeing through encouraging group and independent walking, strength and balance exercises, and improvements to the care home environment. led Health Walks, and chairbased strength and balance exercises. Paths for All Walk Leader training will also be available to staff. The Care About Walking project is being carried out in partnership with staff from Perth and Kinross Health and Social Care Partnership, Live Active Leisure’s Walking for Health project ‘Stride for Life’, Perth and Kinross Council, NHS Tayside and the Care Inspectorate’s ‘Care About Physical Activity’ project. The new Scottish Walking for Health Research Exchange (SHARE) is designed to gather all walking related research papers to help academics and practitioners share learning. With over 40 walking-related papers, it supports the National Walking Strategy Delivery Forum by developing the knowledge and capabilities of the physical activity workforce. The Scottish Government has published A Connected Scotland, its strategy to tackle social isolation and loneliness and build stronger social connections. We are delighted that it specifically mentions the value of our work. 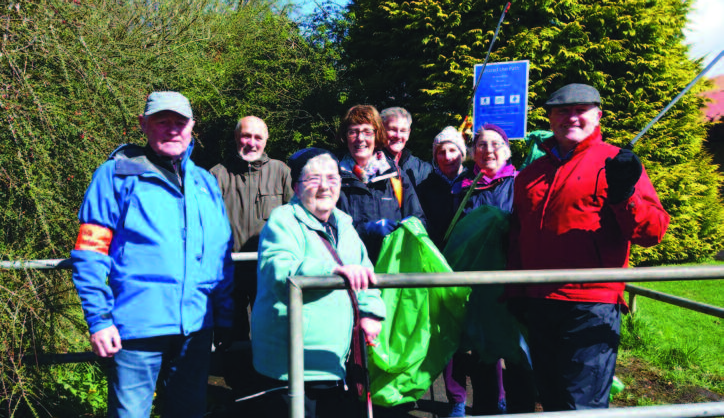 Activities such as group walks, community path work and walking football make an important contribution to reducing loneliness and bringing about greater social cohesion. Paths need careful planning, constructing, and signposting and most important of all, they need looking after to keep them in good shape. 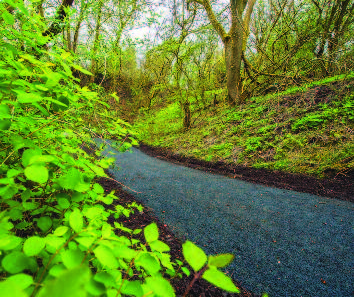 From doing simple maintenance to building a bridge, choosing a suitable path surface to finding a suitable contractor, there is a lot to learn and sometimes some difficult choices to make. Forty-five projects have received grants of between £5,000 and £50,000 from the Smarter Choices, Smarter Places Open Fund, managed by Paths for All, since June last year, all with the aim of changing people’s everyday travel behaviour. Awards have been made to organisations that have come up with new ideas to encourage people to walk or cycle for everyday journeys or use public transport for longer trips. The aim is to cut Scotland's carbon emissions, improve air quality, reverse the trend towards sedentary lifestyles and tackle health inequalities. Michael Matheson, Cabinet Secretary for Transport, Infrastructure and Connectivity said: “I’m delighted that the Scottish Government has been able to support such a variety of organisations across the country through the Smarter Choices, Smarter Places Open Fund. Responding to real demand from community, third sector and public agencies, the awards will help realise innovative ideas which will make our transport system cleaner, healthier and more sustainable through support from Paths for All”. "By providing funding and empowering organisations to develop transport projects they wish to see, we can encourage modal shift, and ensure that more people can enjoy the benefits of active and sustainable travel than ever before." Funding has been used for a range of projects including: developing a car club in Ayrshire, expanding an active travel programme in the Western Isles, creating artist-led walks in East Edinburgh, and raising awareness of active travel options for older people in Falkirk. Grants have also been awarded to: develop a real-time bus app for older people in the Scottish Borders, promote the introduction of a new electric bus service in rural Morayshire; support sustainable travel options at Glasgow Caledonian University, and establish an inschool active travel culture at a Clackmannanshire secondary.